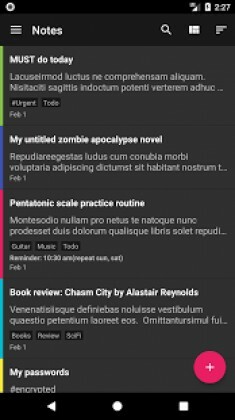 FairNote Notepad is a Productivity android app made by Tarique that you can install on your android devices an enjoy ! 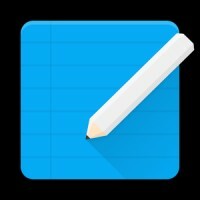 FairNote Notepad is a simple and easy to use notepad app that helps keep all your notes organized and secure. You can use it to keep notes of any length, make lists, draft emails or quickly jot down those brilliant ideas that you often devise. 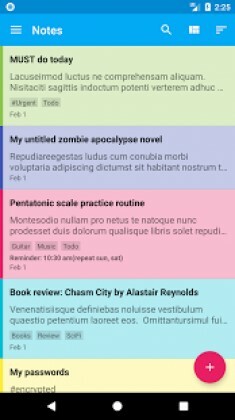 You can easily organize notes using labels, colors and protect sensitive data with encryption and fingerprint authentication.